VSCNews is excited to return to the Southeast Regional Fruit and Vegetable Conference (SERFVC) on Jan. 10–13 at the Savannah International Trade & Convention Center in Savannah, Georgia. Each year, SERFVC provides a great opportunity to mingle with fellow industry members and kick off the new year. 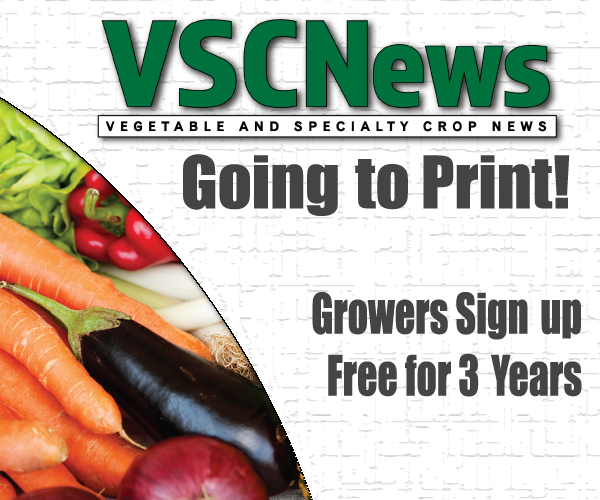 According to Charles Hall, executive director of the Georgia Fruit and Vegetable Growers Association, the 2019 SERFVC will have nearly 300 booths, and approximately 3,000 attendees are expected. “We’re looking forward to another great show,” he says. With so many exhibitors on the trade show floor, attendees can learn about the latest products and technologies entering the industry. Several product demonstrations will be taking place. The trade show floor is a great location to network with growers and industry representatives. The event also includes educational sessions. Hall says attendees will not want to miss the stellar lineup of programs. 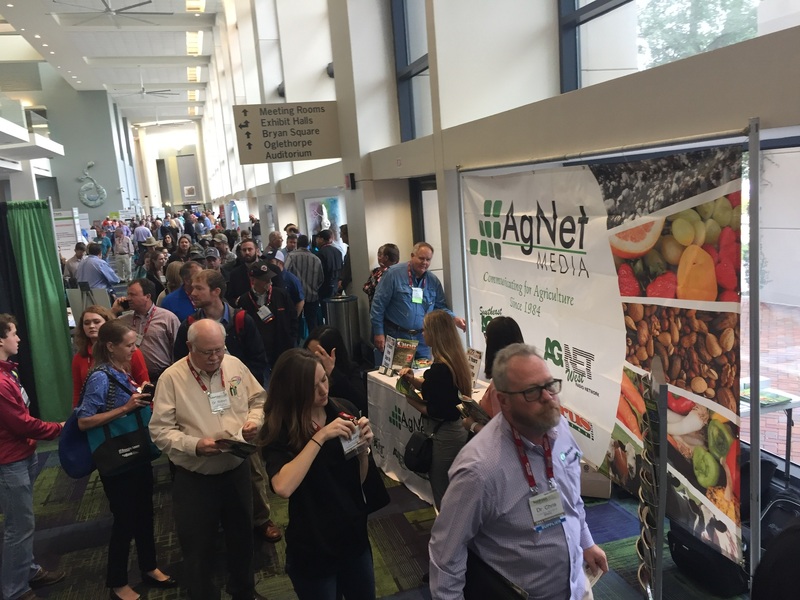 “For any product that’s grown in the Southeast, we’ve got conferences going on for that,” he explains. The VSCNews team handing out the debut issue of VSCNews magazine at the 2018 SERFVC. Since there are so many crops grown in the Southeast, SERFVC organizes concurrent educational sessions to ensure everything is covered. The programs are split into commodity conferences, covering one topic or crop per program. The topics include blueberries, caneberries, peaches, vegetables, organics, food safety, roadside markets and business operations. Online registration, which includes lunches, will close on Jan. 9. However, on-site registration will be available. Lunch will not be included in on-site registration. VSCNews will have a table again at this year’s SERFVC. Find us in the River Concourse area by the registration desk. Be sure to stop by, meet our team and learn more about VSCNews!